Can you imagine how amazing it would be to design a concept for an item in Fortnite, and then discover that your item is going to be in the game? 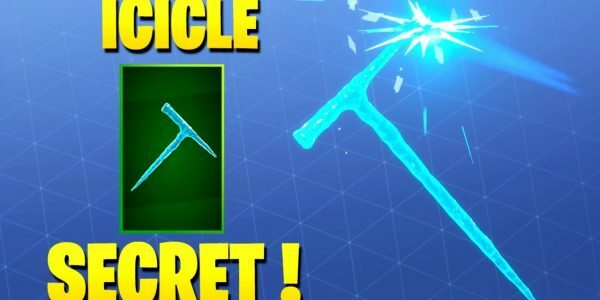 Epic Games loved one fan’s icicle pickaxe concept so much that they have decided to adopt it for Season 7.
u/snabobo on Reddit designed a pickaxe concept based on an icicle and decided to call it “Cold to the Touch.” Recently, that same pickaxe showed up in a Season 7 datamine. The “Cold to the Touch” name appears in the description and its appearance is a pretty exact match for the fan concept. So it would seem that Epic Games has been in touch with u/snabobo. They have confirmed that they drew their inspiration directly from his design. While this seemed like a given, it was still possible it was all a big coincidence, however improbable. Now we know that is not the case. This also seems like a strong indication that the item really will make it to the game (while most items discovered in datamines do, it is never a guarantee). It really is awesome how in touch with the fan base Epic Games is! Keep up with our Fortnite news for additional updates on the wintry theme of Season 7!